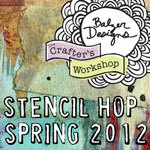 ***Journal Artista***: It's been too long! I cannot believe it's been over a week since I've posted! It feel terrible! I went back to work for the first time in a month this past Monday. Never did I imagine that my body would feel so exhausted. By the end of Tuesday I felt like I had run a marathon. I'm thinking a month on the couch is definitely not good for the body. :) It's a long weekend here in Canada (Happy Canada Day!) as well as the US (Happy Fourth of July!) so I will be relaxing for the most part. Here are a few completed pages! Here is the completed page from my first LIVE Ustream which you can watch every Wednesday night at 9:30pm Eastern here: http://www.ustream.tv/channel/journalartista I've recorded my two shows so far, so you can watch anytime. I truly appreciate all of you that has supported me so far, it has been a GREAT time! Mind the bottom right where there was sunlight. We used multiple layers of acrylics, some Molding Paste and a lot of fun. In other news, I drew the winner of my blog giveaway on YouTube here. I'm still blown away at who won. 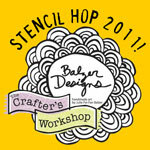 :) I have another small giveaway this week from my favourite stencil company! Keep watching for that. Keep up the great work. 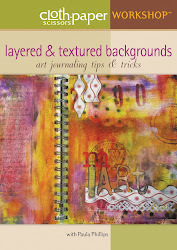 You are a true Art Journaler and I love to watch your progress. You are my hero. And since we are Sister's in Safety, even more connected. I still would like to see you to do a tutorial on how you make a YT video and get it published. I simply can't do it and you make it look so easy. Look at me stretching this out like a crazy person. Can't wait til Wednesday evening again. Hugs! I love your pages Paula!! and I'm so glad to see a post from you. I was wondering what was up. Returning to work after a month on the couch would be so tiring!! Rest up this weekend!! These pages are awesome! I love all the layering that is happening! Welcome back to blog world! So happy yo here you have a long weekend. Be good for your body and that ankle. Love your pages, as always. Hope you have a creative, relaxing weekend! Gorgeous pages, so inspiring. Don't worry about not posting. Relax, have fun and when you feel like sharing, then do :) What's blogging is all about ;) Thanks for your great UStream classes. Awesome pages Paula! Those layers of colors are amazing. Thank you so much for the inspiration. Appreciate you sharing your work. Love your pages Paula and so glad you are back to blogging. It would be a bit of a jolt to the system to go back to work after so long. Hope you stay well rested. Going back to work had to have been challenging, no wonder you're worn out. Love the pages Paula. That first one I find very compelling, the colours and textures, beautiful. Hey Paula, I've been playing with layers after watching your videos on u tube. You are so fun and inspiring. Thanks so much! Love, love, love what you are doing!!! Glag you shared! I always love seeing your work! It is amazing how our bodies get used to less activity, and how tiring it is to get back to normal after an injury. Take it slow if you can. I love watching your videos, and listening to your lovely voice!!!! Your work is so joyful and rich! Thanks for sharing your journals with us! Great lush and textured pages. 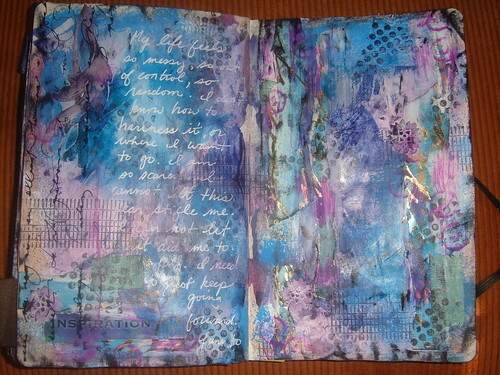 Beautiful journal pages Paula. 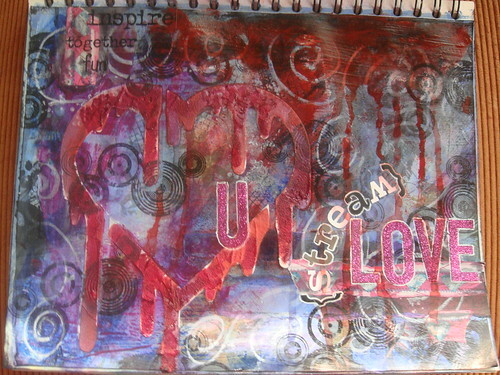 I've only just stumbled upon the concept of art journaling. I've been doing it for years without knowing that it even had a name. 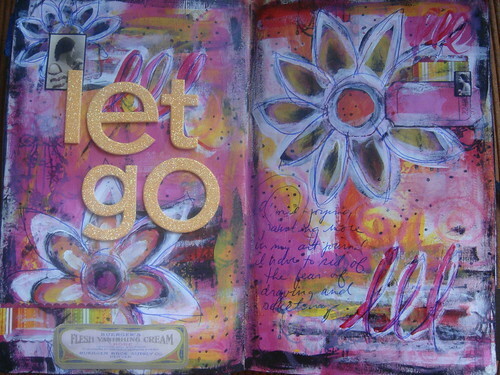 It's a real joy looking at the work of other art journaling creatives. Thanks for sharing. I'm inspired! Love the pages...all are gorgeous and the kind of pages that capture my attention. Niceee! I've started doing the wc backgrounds. Got two done today. Will check out the next video tomorrow. C ya tonight on Ustream, eh? Hi Paula. I'm a newbie here and just added you to my reading list. I come via Connie's blog and viewed a couple of your tutuorials. Awesome. Nice to meet you and I will be back. wow, gorgeous pages, very inspiring! Hey Paula, it's been a while since you have posted, is everything okay?? I'm a fan and follower of yours, and I have noticed you haven't been posting or making those wonderful techniques youtubes. I see you have been doing alot of streaming lately. I hope you will go back to making some videos. I am on a satellite system and have limits on my usage--so I can't do not even one streaming video a month. I am sure I'm not alone--I have really enjoyed your videos, and I miss them! Please make more! !